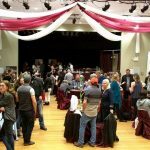 Harrison Uncorked Wine Festival – This event is SOLD OUT. Ticket and Accommodation packages, may still be available through the Harrison Resort (604-796-2244), the Harrison Lake Hotel (604-796-5555) or Bramblebank Cottages (604-796-9552) or, contact Tourism Harrison (604-796-5581) for inclusion on the ticket wait list. Afternoon wine tasting with up to 14 BC wineries to showcase what is hot in the wine scene. Canapes provided by Muddy Waters Café, with a focus on farm to table offering. Old Setter Pub will be the onsite liquor store, so attendees can purchase bottles to take home. Plus book your wine-makers dinners Friday and Saturday evening at select local restaurants. You won’t want to miss it!